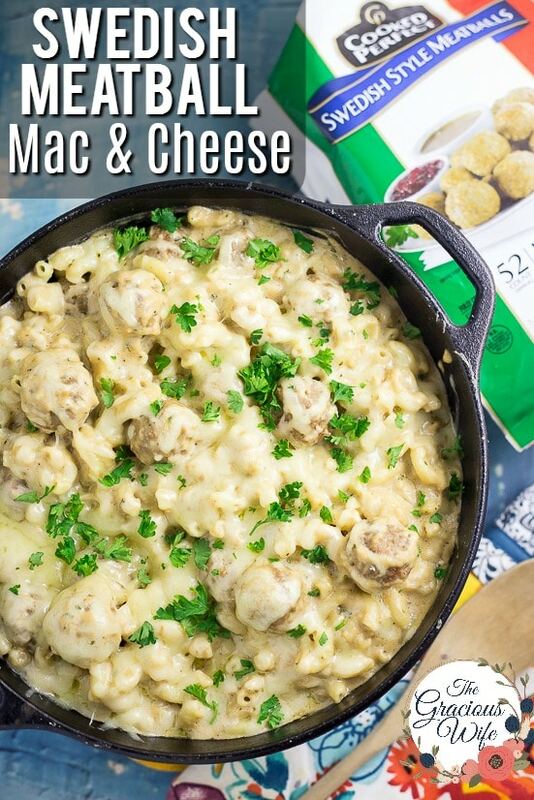 Make this Swedish Meatball Mac and Cheese recipe, with flavorful Swedish meatballs, authentic gravy, and lots of gooey cheese, in 30 minutes for a quick and easy family dinner recipe! During the Summer months, I love to make recipes that are super easy. The less time I have to spend cooking, the better. Plus, the food has to be tasty enough that I won’t have to have fights at dinner every night to get my kids to actually eat it. 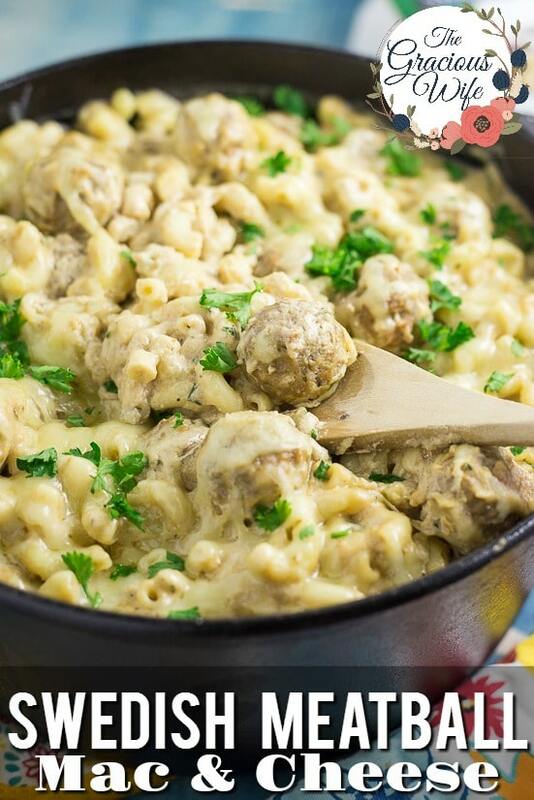 So, I am very excited to partner with Cooked Perfect® Meatballs to share this super easy AND super yummy Swedish Meatball Mac and Cheese recipe that you and your family will love. My kids call meatballs “magic food,” so Cooked Perfect Meatballs, made with select meats, real cheeses, and savory herbs then flame broiled to sear in all that flavor, are a staple at our house. 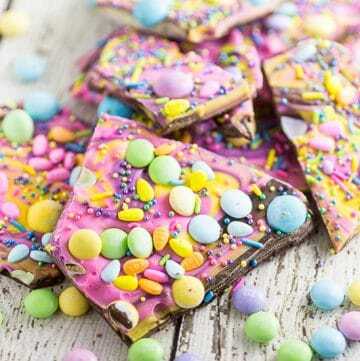 They are seriously perfect for any occasion and so easy to prep because you can find them right in the freezer section at your local grocery store! You can just grab a few bags of meatballs for dinner while the kids are searching for their favorite frozen Summer treats. Head over here to Find Cooked Perfect Meatballs near you. 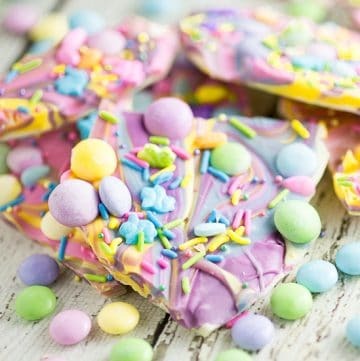 Plus, they come in a large variety of flavors, including Homestyle, Italian Style, and Swedish, which is what I used for the recipe I’m sharing today. But I also love using other varieties of Cooked Perfect Meatballs for simple appetizer recipes that are perfect for Summer get-togethers. You can find even more meatball recipes here. 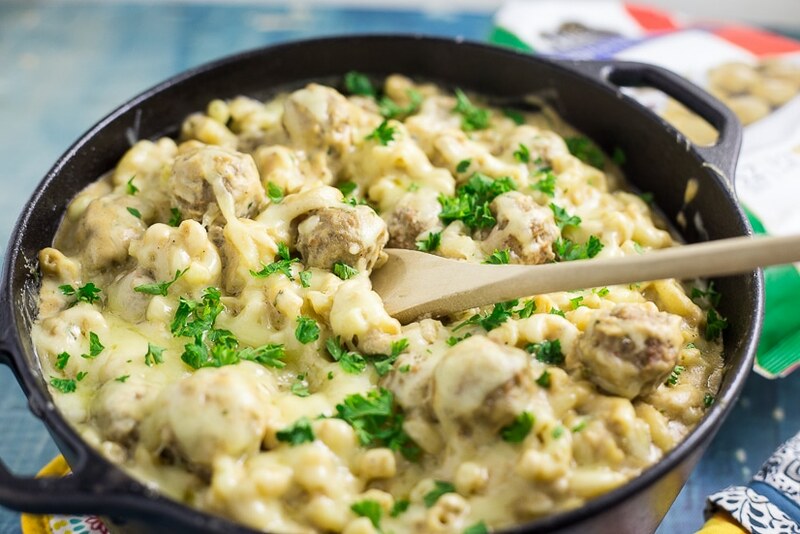 Now a little bit about this Swedish Meatball Mac and Cheese recipe I’m sharing today. 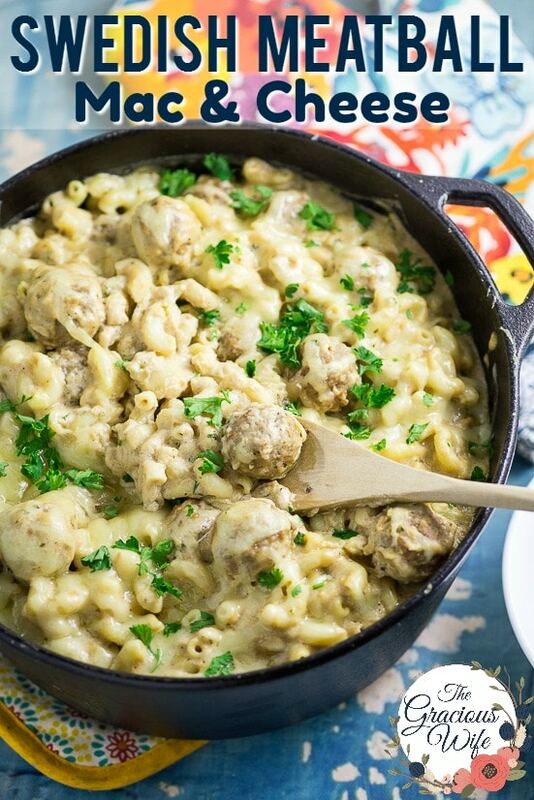 You really can’t go wrong with Swedish Meatballs or mac and cheese. But when you put them both together? Wow! So good. And it is so easy to make, too. I seriously made it in the midst of packing for vacation. 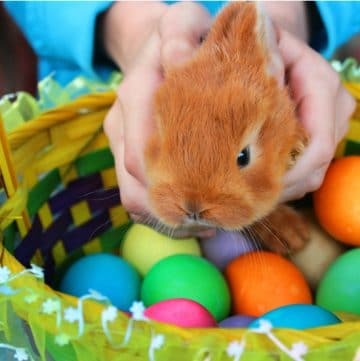 Pack a little, stir a little, pack a little, throw it in the oven. 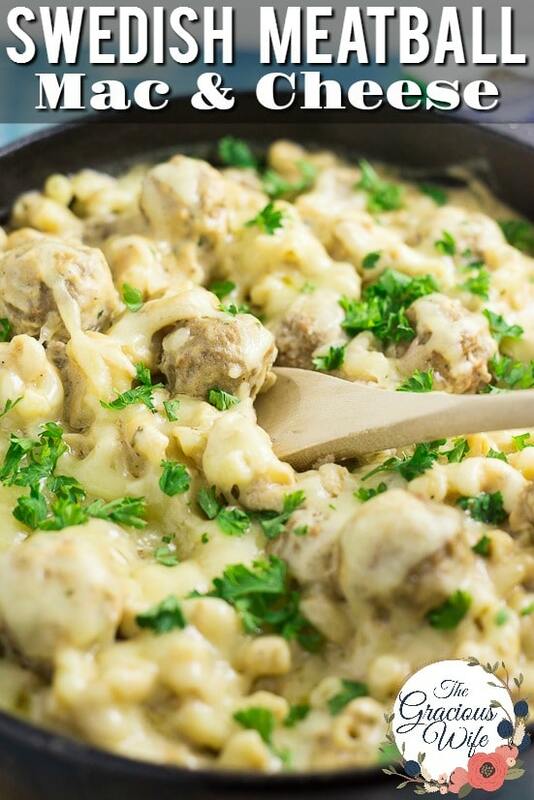 Swedish Meatball Mac and Cheese satisfies my comfort food cravings, and the kids LOVE it. They ate it all and asked for more! My side of the family is very, very Swedish (straight off the boat, as they say. I’m two generations removed from the boat ride), and we enjoy our Swedish food. Every Christmas, we make a huge smorgasbord with all of our Swedish favorites, but we find that come about halfway through the year, we’re really missing some of our favorites. 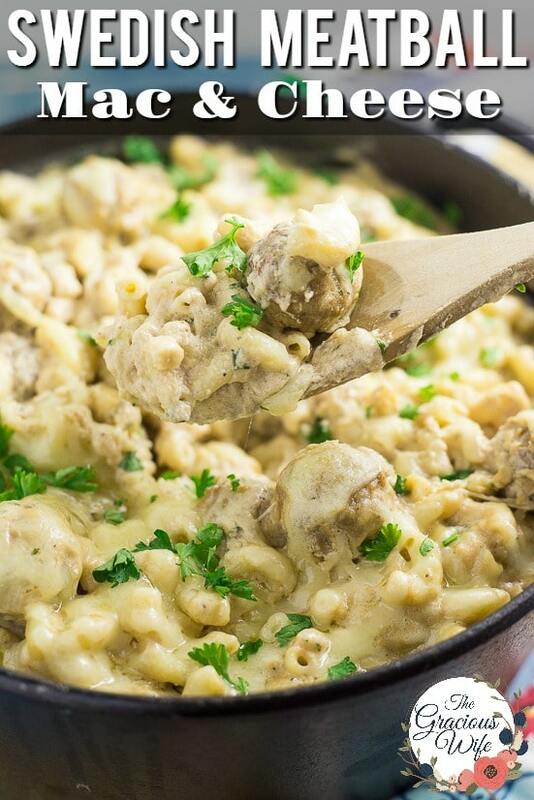 Which is why this Swedish Meatball Mac and Cheese is so amazing! 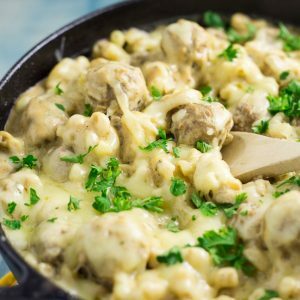 In this Swedish Meatball Mac and Cheese recipe, I used Cooked Perfect Swedish Meatballs, plus my grandma’s Swedish meatball gravy recipe, and mixed in lots of gooey cheese, to make a meal that you can whip up in about 30 minutes that’s pretty much a guaranteed family dinner hit! You can even freeze this dish. Just transfer to a freezer safe container (like a casserole dish with a lid) before baking. 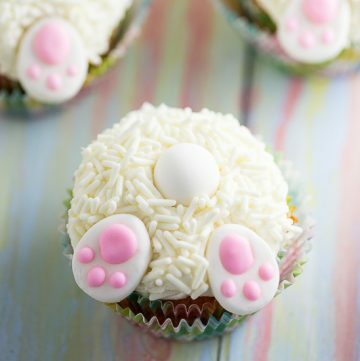 When you’re ready to use, thaw and pop it in the oven for 10-15 minutes or until heated through. When butter is melted, add flour. Stir until completely combined allow to heat for about 1-2 minutes. Add half-and-half, about 1/4 cup at a time, stirring between each addition. Add ginger, coffee, salt, and pepper. Stir to combine. Continue cooking and stirring over medium heat until sauce thickens. When mixture is hot and thick, begin stirring in cheese, reserving about 1/2 cup for topping. Adjust salt and pepper to taste, and stir in 1/2 of the chopped parsley. Add Cooked Perfect Swedish Style Meatballs and stir. Pour sauce over cooked macaroni in a large oven-safe casserole dish, such as a 9"13" (Or I used a large cast iron dutch oven, and actually dumped the macaroni in with the sauce, all in one pot.) Stir to combine. Top with remaining shredded cheese and fresh chopped parsley. Bake in a 350°F oven for about 10-15 minutes, until cheese is melted and dish is heated through. Quick Tip: I like to cook my macaroni at the same time as the sauce, and they both usually get done at about the same time. 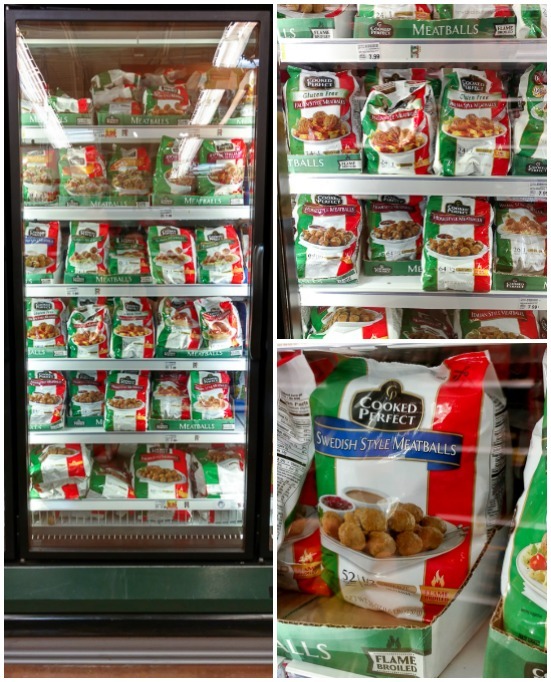 Click HERE to Find Cooked Perfect Meatballs in a store near you! For even more delicious, amazing, and simple meatball recipes, CLICK HERE. Are the meatballs frozen or heated when you add them to the recipe? Also, could you substitute regular coffee grounds in place of the instant granules? Frozen or thawed will both work here. I just had mine sitting out of the freezer while I was prepping everything, so they were probably somewhere in between. Also, do NOT sub regular coffee grounds for instant granules. Instant coffee dissolves. Coffee grounds do not, and it will be gritty.